Sunshine Plaza is a nice place to go if you are looking for cheap and good food near Orchard. From Japanese Food to Dim Sum, Wanton Mee and Thai Food, there are so many options to choose from. Thai Gold Food (formerly known as Sbey Sbey Thai Food) at Sunshine Plaza, is one of those places that serve affordable Thai Food. We were there for lunch last week, and it was a tough decision between Thai Gold Food and Aroy-Dee Thai Restaurant. We eventually ate at Thai Gold Food, but I went back to Aroy-Dee two days later (that’s another story for next week). Thai Gold Food’s menu has popular Thai dishes like Mango Salad, Thai Fish Cake, Pineapple Fried Rice, Phat Thai, and Green Curry. Most of the items are reasonably priced below $10 for the small portion. The two of us ordered three dishes to share, and we started with the Green Curry. I always make it a point to order Thai Green Curry ($7) whenever I eat out, so that I can compare it amongst the Thai Restaurants in Singapore. 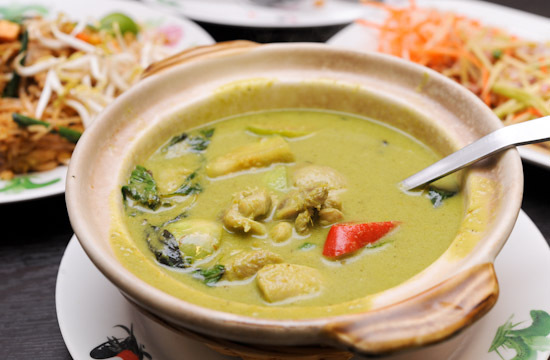 Thai Good Food’s Green Curry is fairly good, and I like the fact that it comes in a claypot. The bright and cheerful thing in the picture, is everything a good Thai Mango Salad ($5) should be: slightly sourish and tangy, very refreshing as an appetiser. I had it together with the Phat Thai and they were great! My friend did not like Thai Gold Food’s Phat Thai ($4) as it was served rather cold. To be fair, I thought it was okay, not great but decent. Which is better? Thai Gold Food, Aroy-Dee or Ah Loy Thai? 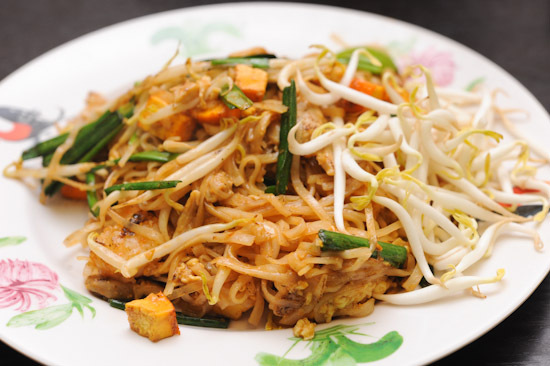 It is inevitable that people will make comparisons between Thai Gold Food, Aroy-Dee and Aloy Thai as they are quite similar. For me, ALoy Thai edges out Thai Gold Food and Aroy Thai in terms of food. But if you are going for dinner, both Thai Food Places at Sunshine Plaza are better options as they operate till late night. I always visit this place whenever I need some quality yet afforable Thai food fix. Service however has been quite snobbish on a few occasions. But well, since there is no 10%+, I guess I shouldn’t complain much. Hey, can i check with you, on fri – sat they are open till 3pm? Not 3am isit? ermm sat they open till 3pm or 3am??? Very disapointing ! we asked for a green curry mild. Because my friend can’t eat too spicy. ANd it was tasteless. DOn’t even know if they put any coconut milk inside. The veggies were strangely cooked. 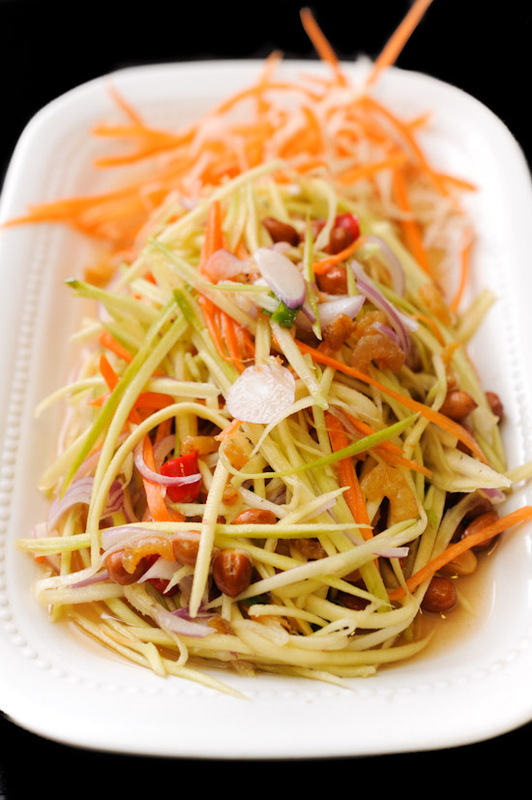 The mango salad was way too sour without any freshness that a real mango salad could have ! You could make another visit, but I don’t recommend. Been there before and would swear that the food standard make me feel that I went to the wrong shop. Fried rice(tomyum and pineapple) both marshy, felt like a lump of rice cake while eating with instant noodle flavor. Tom yum Soup is no no as well. No way near average standard.